The warm breeze and budding flowers means spring is here, and it’s time to start thinking about your summer PPC campaigns. 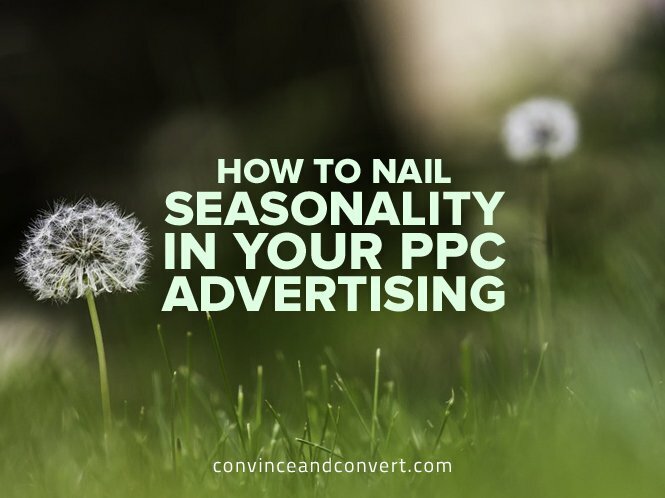 I know—we’ve barely seen an April shower, yet savvy retailers know to nail PPC each season. It’s best to start early. It might be tough getting into the summer-lovin’ mindset when you’re still carrying jackets and umbrellas, but to make the most of your PPC advertising, heed these insights. Picture this: It’s mid-March, and you’re getting your little ones all gussied up for school pictures and springtime family gatherings. But at the same time, you’re surrounded by swimsuits and graduation caps. Come on, already—there’s still snow on the ground for many of us! Sure, we complain about it—give each season or holiday their time—but retailers do it because the demand is there. In fact, retailers are often planning three months or more in advance of when the needs hit. Your PPC campaign should reflect these needs, too. For instance, searches for bathing suits start increasing in March and early April, yet we likely won’t even put on a swimsuit until Memorial Day weekend at best. To make the most of your PPC campaign, think a season ahead. It ensures you catch early shoppers, maximizing your budget when it counts. Don’t forget about those one-day holidays or events either. 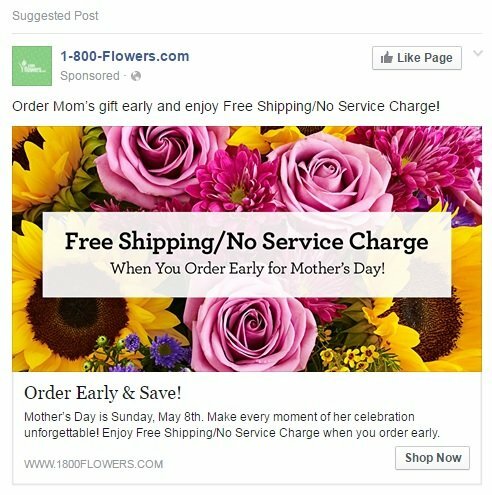 PPC is an excellent way to remind people of those holidays or events that sneak up on you, like Mother’s Day, Father’s Day, or an impending college graduation. PPC can help attract attention to your ad long before the absolute need has arrived. Images are powerful. They have the ability to evoke emotions and drive action, often causing us to soothe a need or craving or make a purchase. With your PPC ads, fine tune your images in addition to your copy. Sweaters, earthy tones, and heavy textiles will convey a warm, cozy, and inviting image in the winter months. However, those same images won’t be well-received in the summer heat. The choice of image can help support your copy and your offer. 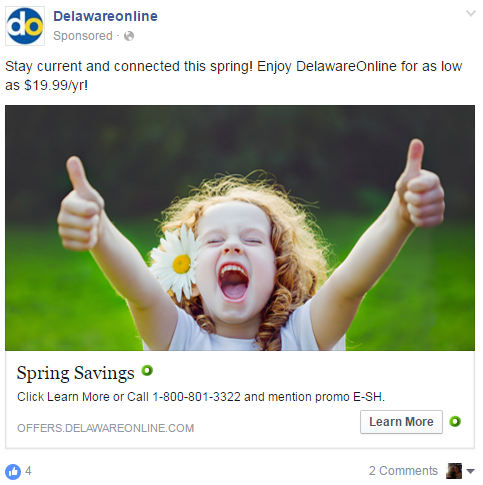 Delaware Online exemplifies great message matching with imagery, making a clear connection between the “spring” copy, the lush green grass, and flower in the girls hair. By contrast, small regional adjustments to your images may need to be considered, too. For example, in a search for “shoes” in January, flip flops may do quite well for San Diego shoppers but will be met with resistance in Boston. Likewise, in a search for a “shovel,” an ad for a heated handle may be well-respected by Minnesotans but completely lackluster to Key West shoppers. 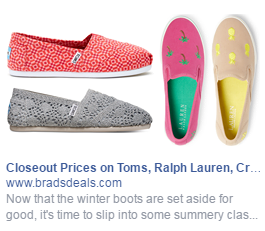 But a universal ad for vibrant colored shoes looks to be an all-around, summer-inspired hit! What’s on your website should match what’s on your landing page. Anything else may lead to confusion. 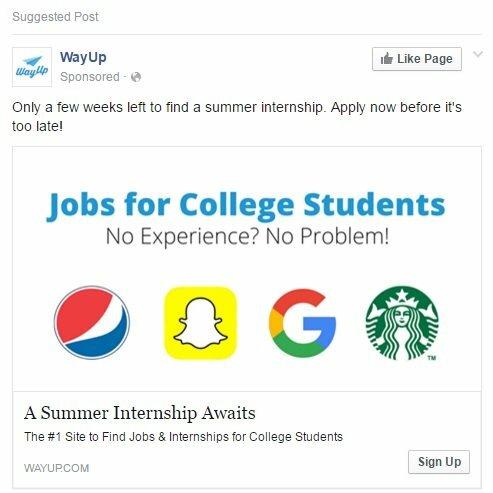 Check the copy on your PPC ads, but also on the landing pages, too. 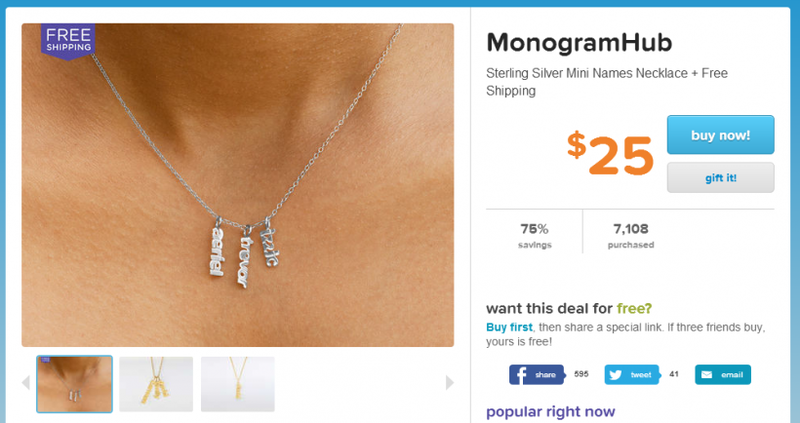 If a PPC ad boasts, “Free Shipping Over $50,” the landing page should as well. Ad customizers help cater the PPC ad to what the person is searching for and can create a sense of urgency as well. Plus, with the ability to insert a dynamic price or inventory level, real-time pricing and inventory changes are seamlessly displayed. 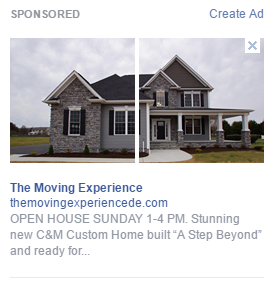 The original image of the single charm got my attention and caused me to click the ad. However, when I see the landing page, I am greeted with something far different. Sure, the original gold, one-charm necklace does exist in the third image, but you have only moments to make an impression. Don’t make the customer hunt for what they want—give them the image of the one-charm, gold jewelry that originally sparked their interest. With each season comes an increase in daily searches for certain products or services. To make the most of it, plan for increases in your automated bidding strategy to ensure you stay on point. Popular restaurants and romantic locations see an uptick in traffic approaching Valentine’s Day. Likewise, caterers are reserved well in advance of the busy wedding season, especially when it’s coupled with graduations. Both restaurants and caterers center their offering around food, but their peak season occurs at different times. As such, there’s no “one size fits all” strategy for when and how much to increase your bids, but there are indicators. During certain seasons you’ll see an uptick in certain home services, including finding a new home. Spring is ripe for the real estate market with new home builders jockeying for the attention of those in the market. In fall and early winter, home services switch from offering A/C tune-ups to winter readiness packages for your heater. Ramp up your keyword bids when you see competitors encroaching on your territory, or even opportunistically. Most of us won’t search generators on a daily basis, but if a large hurricane is brewing off the coast, and you’re in its path, generators are suddenly the most in-demand storm resource. Your PPC bidding strategy should reflect these environmental and seasonal changes. Michelle Brammer writes about pay per click and pay per call marketing, as well as digital ad fraud and small businesses. Michelle is the Director of Marketing for eZanga, a digital advertising firm focused on pay per click, pay per call, and ad fraud management. Previously, she held senior marketing and sales management positions with Genji Sushi, Dominion Enterprises, and Frito-Lay North America. Read more on Michelle's blog.